She is the wife of a billionaire who is still top of the polls among Republican contenders for the White House. 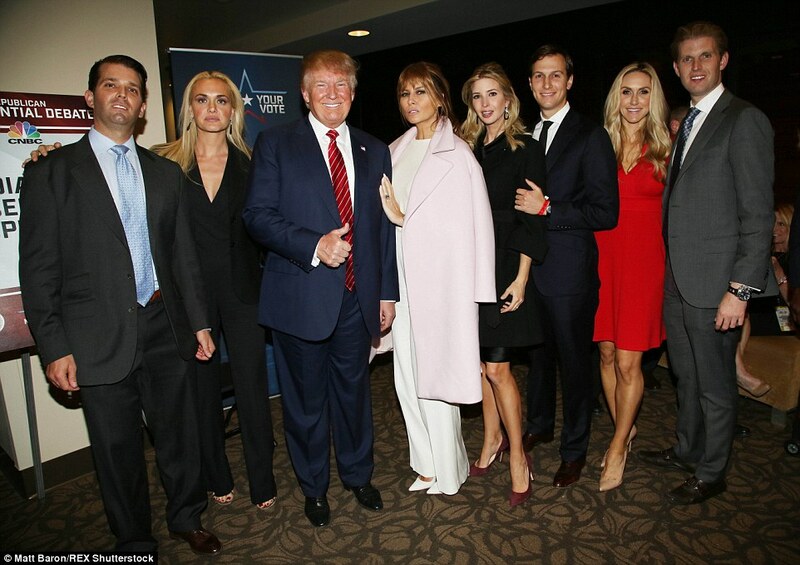 Last night Melania Trump went center stage as she accompanied her husband Donald at the party’s debate in Colorado – and where despite a muted performance, he remained front-runner in the polls. To be in such a position would be unusual of itself. But, Daily Mail Online can disclose, it is extraordinary. For Melania Trump is also the daughter of a card-carrying Communist and was brought up in a Soviet-era apartment in a country which fell apart in a bloody frenzy of inter-ethnic violence. Until last night the potential first lady had hardly been seen on the campaign trail with her husband. 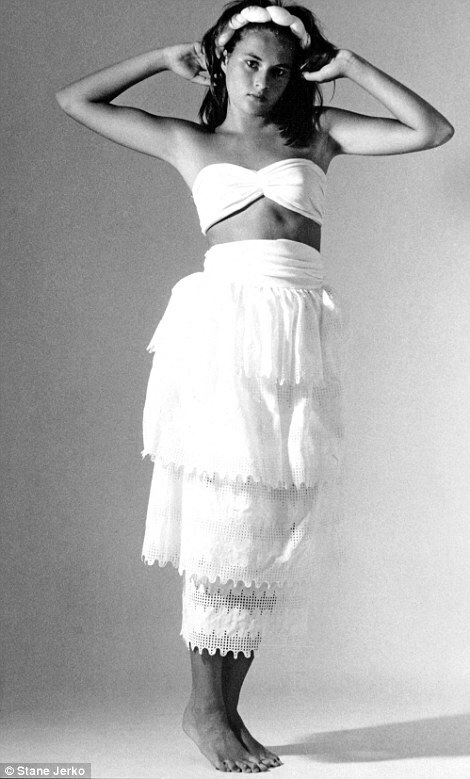 But she wasn’t always one to shy away from the cameras. 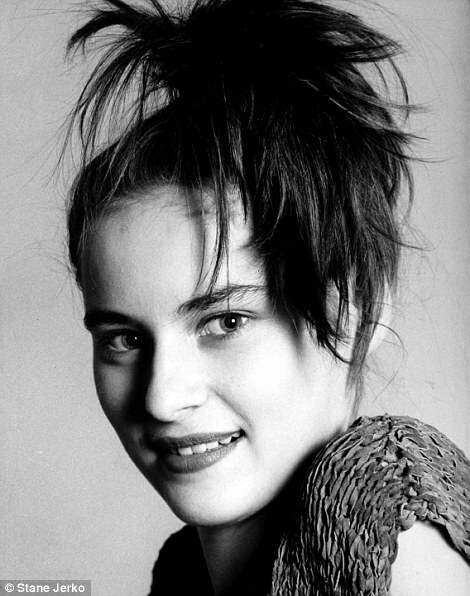 In fact, exclusive photos paint a different portrait – a young Melania shining in front of the lens, trying to launch her modeling career. Melania, who could become the first foreign-born First Lady in almost 200 years, was born in 1970 in south-eastern Slovenia, near the border with Croatia. 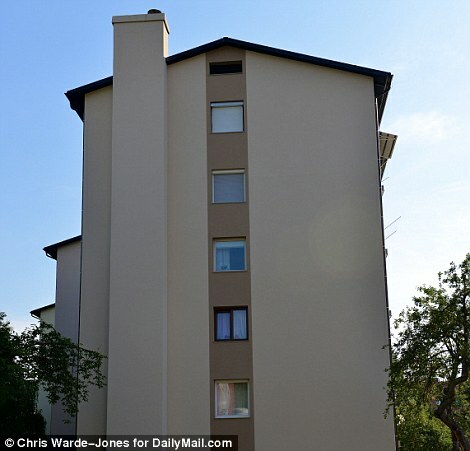 Humble beginnings: Melania grew up initially in this apartment (left) with her father, mother and sister in Sevnica. 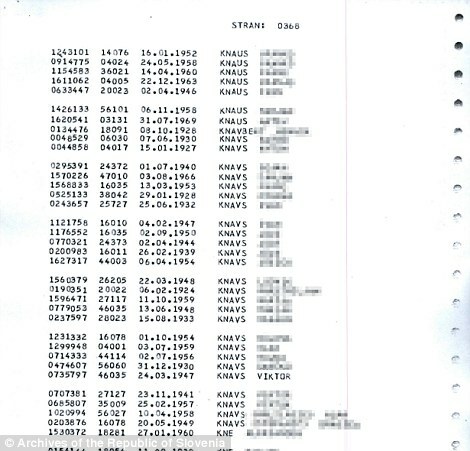 Her father was an active Communist, state records obtained by Daily Mail Online (right) show. 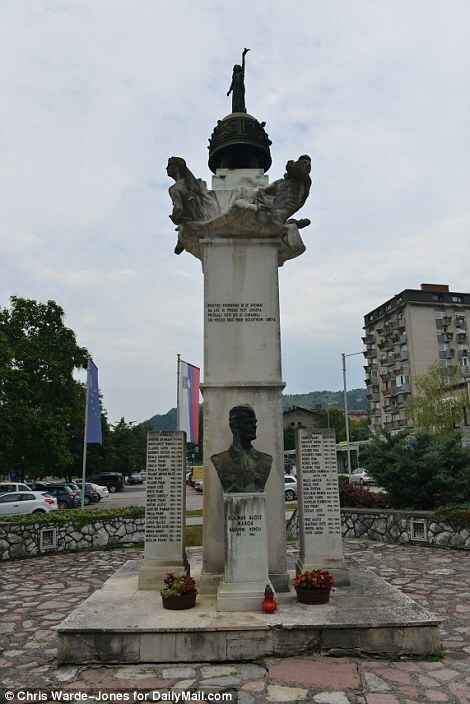 Before the break-up of socialist Yugoslavia in the 1990s, Slovenia was just one part of the Communist country, a dictatorship under Marshall Tito, and a satellite state of Soviet Russia. And, as a document from the Slovenian State Archives shows, her father Viktor Knavs was a listed member of the League of Communists. Her mother Amalija Ulcnik was not listed as a member. 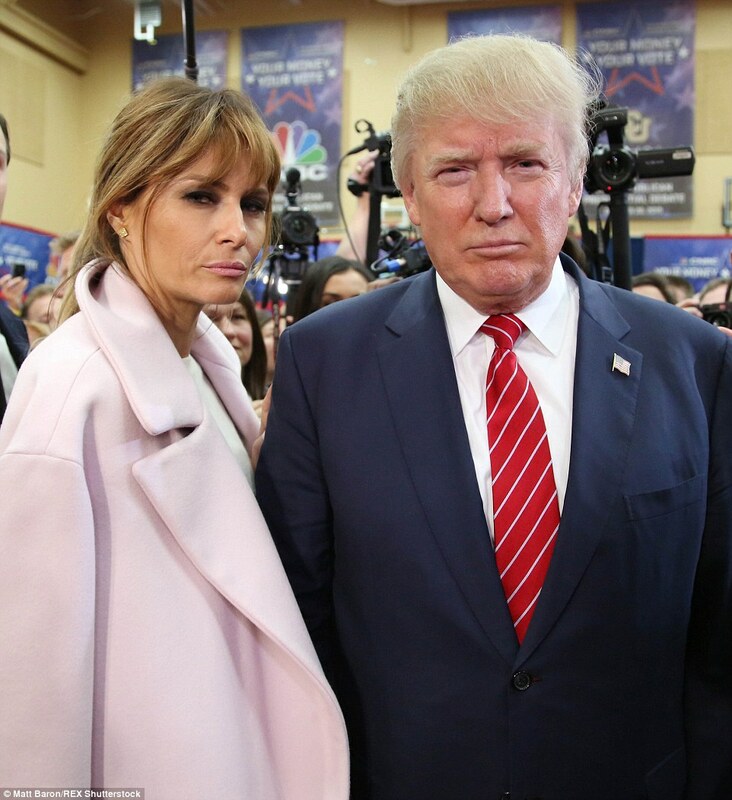 Melania, who is Trump’s third wife, has been tipped as Donald’s ‘Trump card’ in the race to the White House. And while the campaign is based on his record as an entrepreneur, his free-market capitalism is dramatically out of kilter with the socialist values his wife was raised with. Her luxurious lifestyle is also a far cry from her upbringing in the small industrial town of Sevnica, an hour through the mountains from the regional capital Ljubljana. 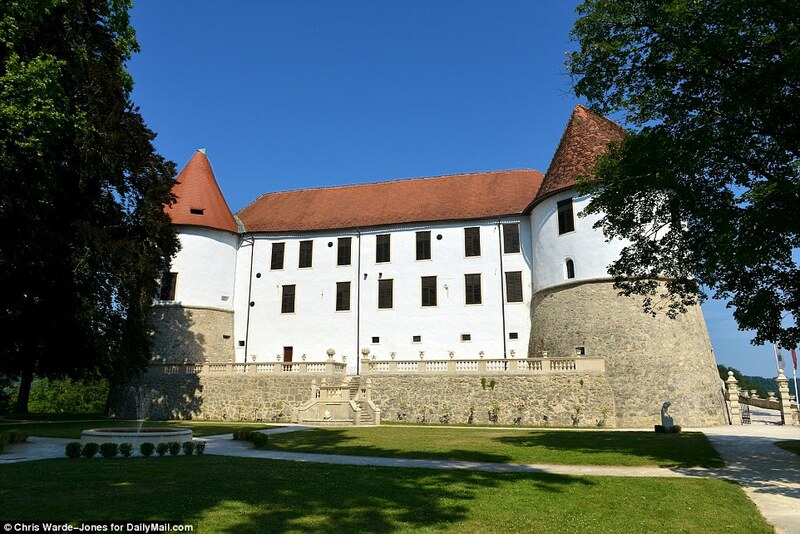 Sevnica sits in a forested valley, strung along the banks of the river Sava and its defining feature is a 12th century castle, worthy of Melania’s fairytale life story. 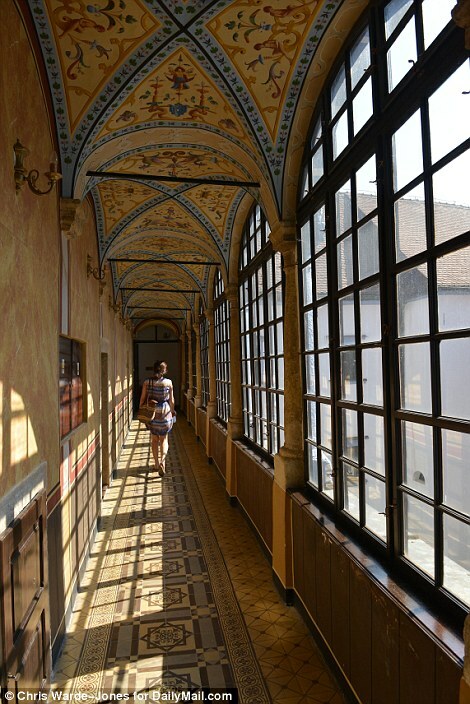 Centerpiece: Sevnica is built around its 12th century castle. Until the end of World War I it was part of Austro-Hungary, then Yugoslavia until that country collapsed in bloody civil war. Slovenia left peacefully and was not scarred by ethnic cleansing. 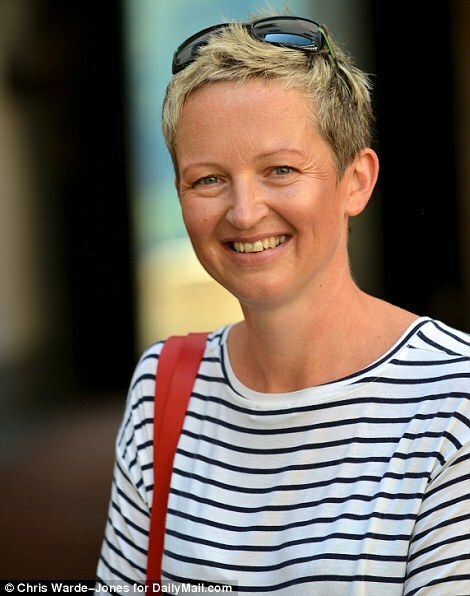 During her childhood only five percent of Slovenians were Communist party members and although her father did not advertise his political affiliation, it was obvious to neighbors and relatives. It no doubt helped both her father and mother hold down solid jobs at the state-owned children’s clothing manufacturer Jutranjka, which, with 1,200 workers, was the town’s best employer. Amalija was a pattern-maker at the factory, and Viktor was a driver for one of the directors, although he later had a shop selling parts for cars and motorcycles. In line with their father’s officially atheist Communist beliefs, Melania and her sister were not baptized and did not make their first holy communion with the other children, a decision which did not escape Catholic relatives. Melania’s father Viktor, originally from Radice, an agricultural village 15 miles away, was able to use party contacts to access goods that other people did not have access to. But whether or not they believed, the Knavs’ adherence to the regime’s philosophy helped make life more bearable at a time when some goods including petrol were rationed because of shortages. She explained. ‘He had connections. He could always get little luxuries or essentials like car parts that other people couldn’t get their hands on’. 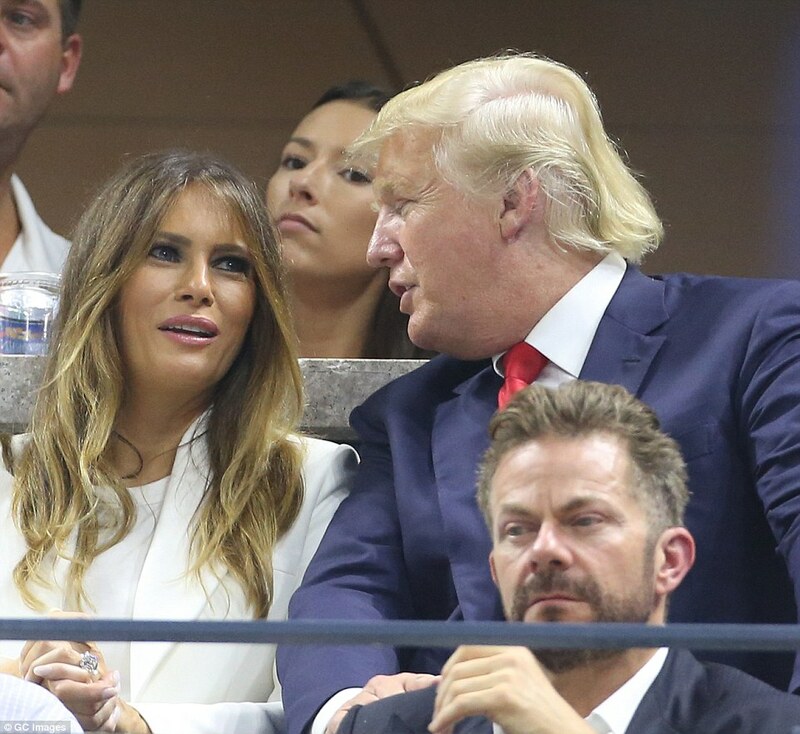 But the couple’s real ticket out of adversity was to be Melania’s extraordinary looks, already evident. 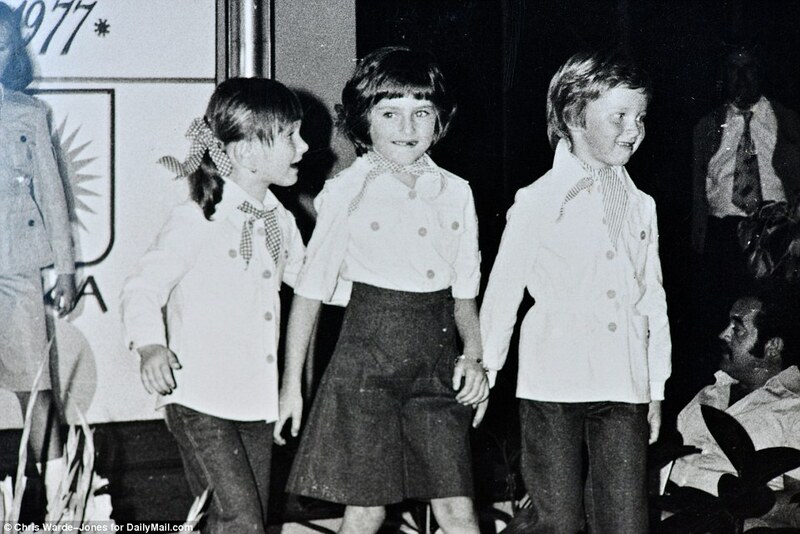 At just five years old she was recruited to model in the Jutranjka catalogues, and got her first real taste of the fashion world taking part in the state-owned company fashion show, alongside her elder sister Ines. The fashion event was held at the country’s grandest and most luxurious lodgings, the Hotel Jugoslavija, in Belgrade, which had hosted celebrities such as Tina Turner and the Queen. Melania and Ines were taken by train to the capital and paraded on the runway in front of high party officials, alongside other attractive children of factory workers. Melania’s best friend Nena Bedek, whose mother worked in the same room as Melania’s mother at the factory, was also among those chosen. For the small girls, the experience was ‘incredibly exciting’. Nena remembered: ‘Jutranjka had fashion shows every season and we were selected to take part twice, a big one in Belgrade and another at a spa hotel near Sevnica. ‘We were taken to Belgrade by train and stayed at the Hotel Yugoslavia which was famous but was later destroyed in the war. 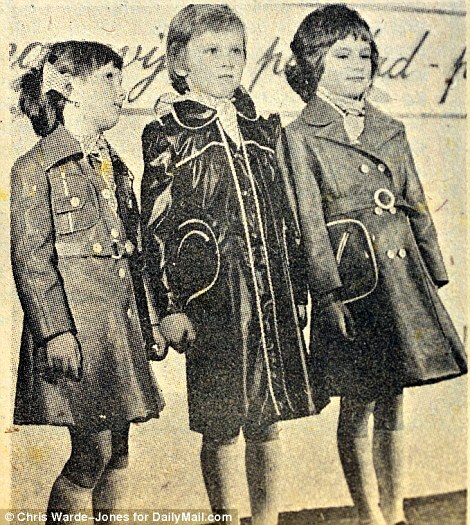 We were dressed in the most stylish children’s fashions of the day and we went down the catwalk alongside adults who were modeling for another state-owned company, Mura. Now an art teacher in their hometown of Sevnica, she says she no longer hears from Melania but fondly remembers their shared childhood. 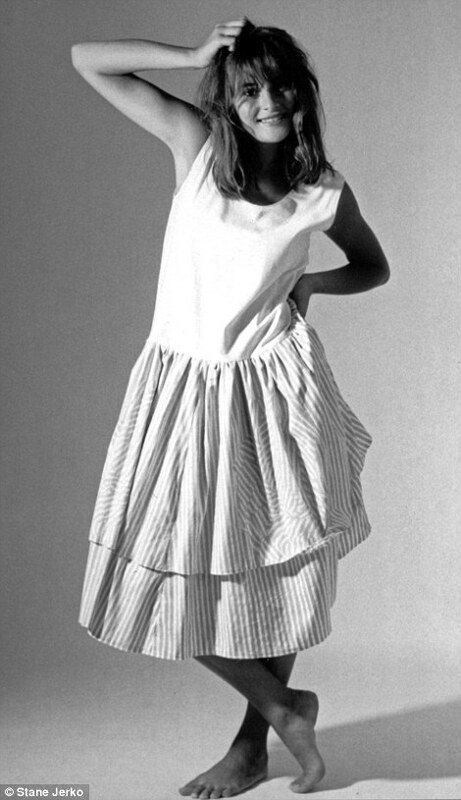 ‘Our mothers worked together as pattern makers at the factory and became close friends. After their early recognition Melania was obsessed with the idea of becoming a model, Nena remembered. 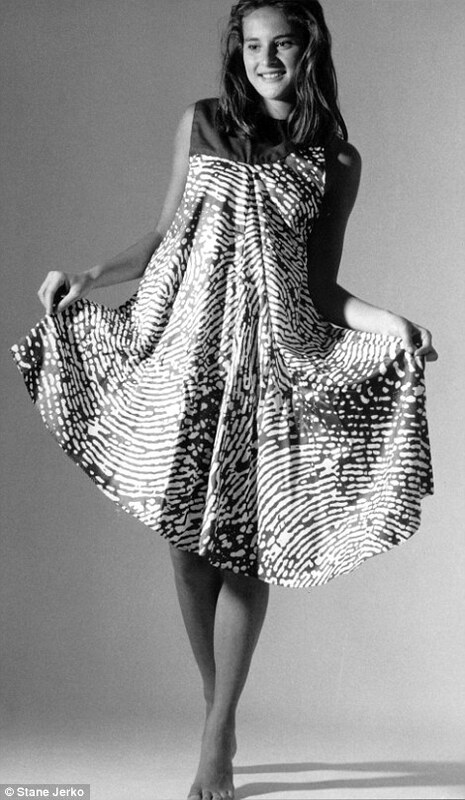 ‘Melania was transfixed by the idea of becoming a model and loved sketching designs for clothes. Indeed Melania’s school report from Sevnica Elementary school, which she attended from seven years old until she was fifteen, proves she was not just a pretty face. She ‘liked to read a lot’ and was ‘very good’ at art. She also got very good grades in other subjects, Lindmila Lipovsek, an English teacher at the school today said. 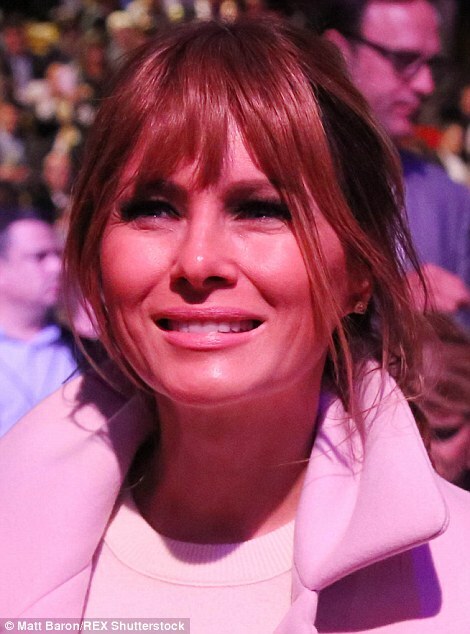 When Melania was ten her family was able to afford to move from the tower block and, like many others, built their own house on land near the river which bissects the town. 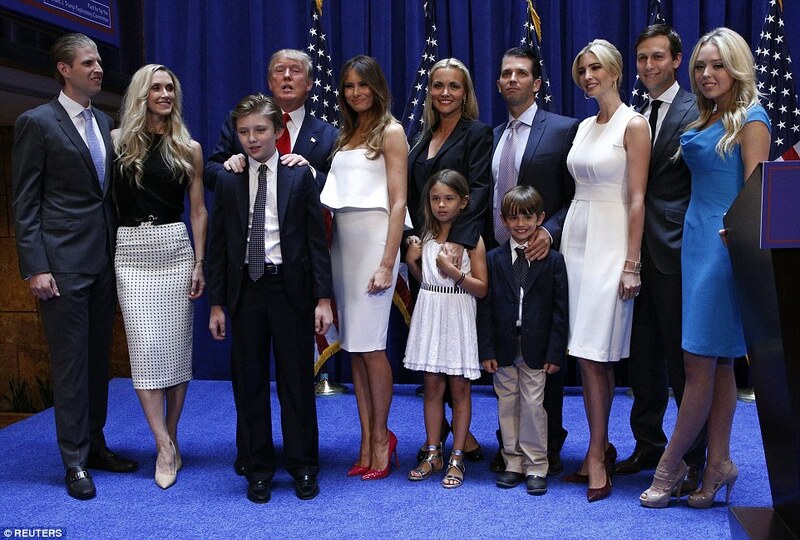 The Knavs were ambitious and pushed the already driven Melania and her sister to excel. 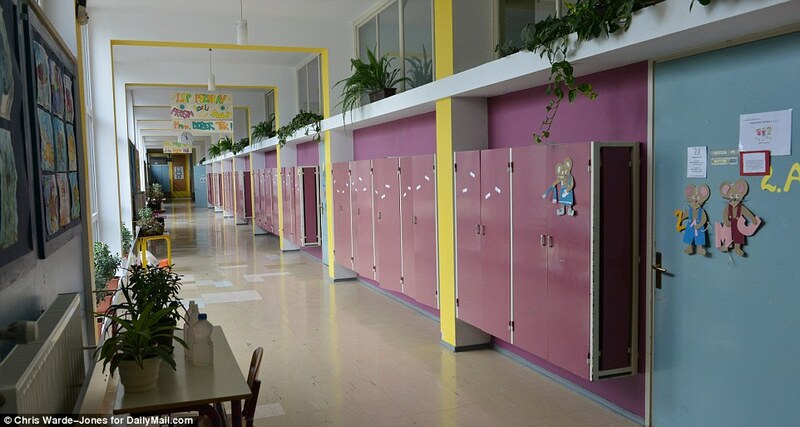 Primary schooling normally finished at age 15, but Viktor saved money so that the family could rent a flat in Ljubjana and let the girls attend a technical high school there. Melania worked hard studying industrial design and their combined determination paid off – she was accepted at the University of Ljubljana to study architecture. 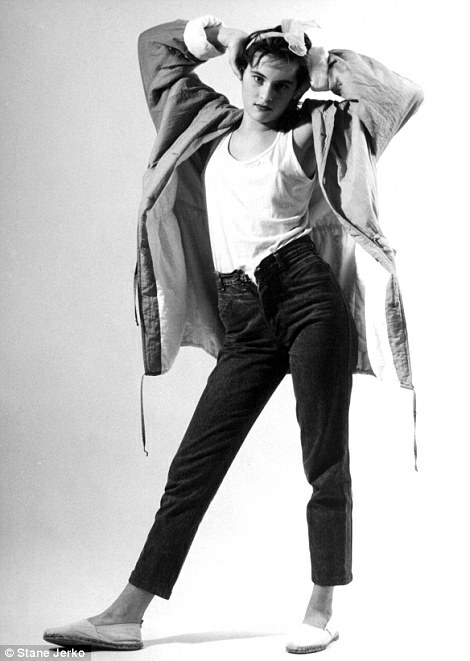 But at the same time her modeling career was beginning to flourish. He had connections. He could always get little luxuries or essentials like car parts that other people couldn’t get their hands on. 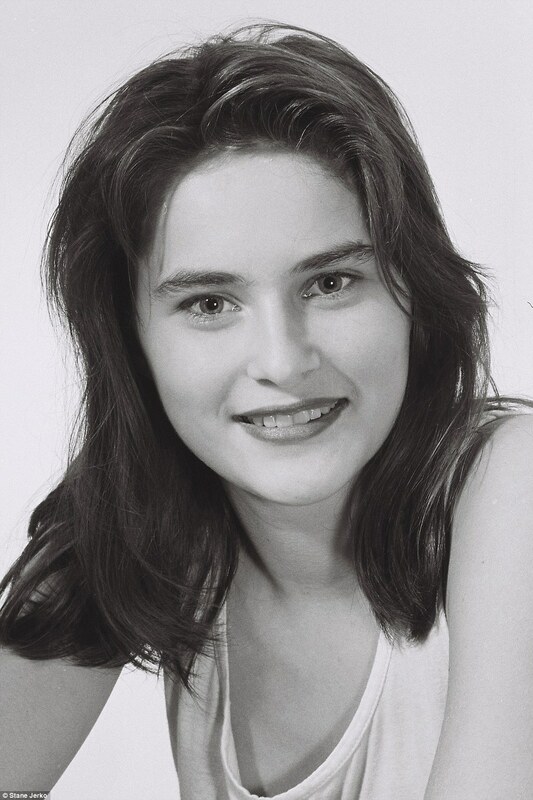 Renowned Slovenian fashion photographer Stane Jerko discovered the 17-year-old Melania in Ljubljana in 1987 at a modeling contest and asked if he could take some pictures of her. 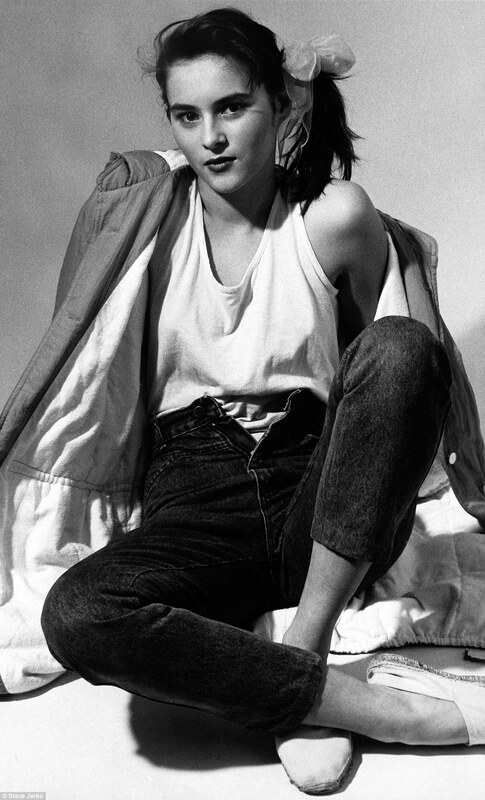 Shy and awkward in these early pictures, obtained exclusively by Daily Mail Online, her potential shined through. This chance meeting gave Melania her first real break, setting her on the path to fulfill her dream of leaving Slovenia for a career in fashion in the West. Not long afterwards, she abandoned the degree, moving first to Milan where she met New York agent Paolo Zampolli – the matchmaker who introduced her to Trump. And almost twenty years after their first meeting at New Yorks’ Kit Kat club Melania seems to have cracked the formula to keeping the billionaire happy. But despite their daughter’s unimaginable good fortune her parents have not been swayed by their son-in-law’s riches, friends say. They have not moved since 1984, when their home-made house was finally finished and Viktor still drives an ancient but immaculate Mercedes. 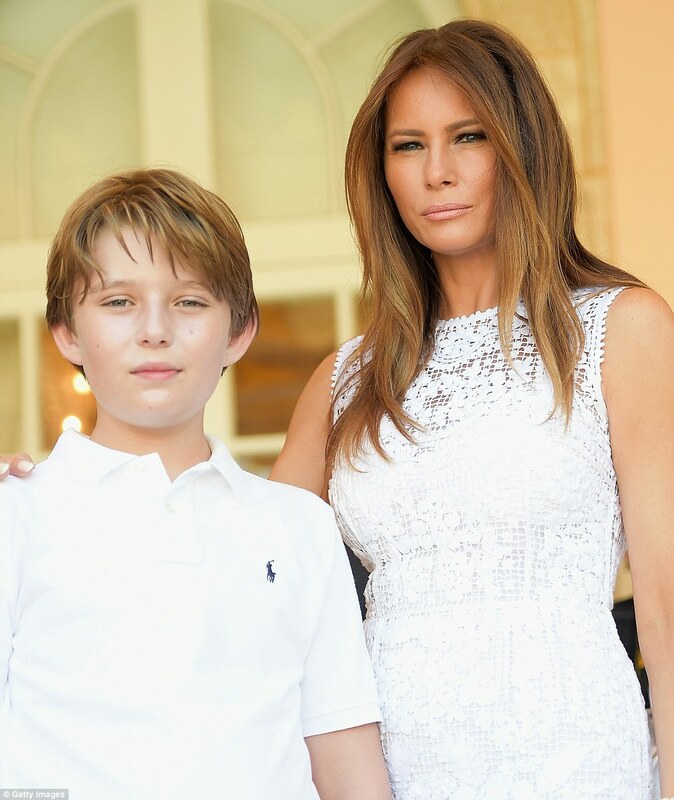 They spend much of the year in the US helping Melania raise her son with Trump, Barron – who is nine years old. Amalja cooks Slovenian food for her grandson and speaks to him in Slovenian so that he learns his mother’s language. The Knavs are apparently fond of Donald, but Viktor does not rate his chances of reaching the White House, friends claim. Viktor has said that Trump will never be president. ‘He told me ‘There’s no chance of him getting elected. It’s just show business for him,’ one friend confided. One local joke is Viktor’s uncanny physical resemblance to Trump. Meanwhile, Melania is said to have inherited her looks from her mother who turned 70 last month. 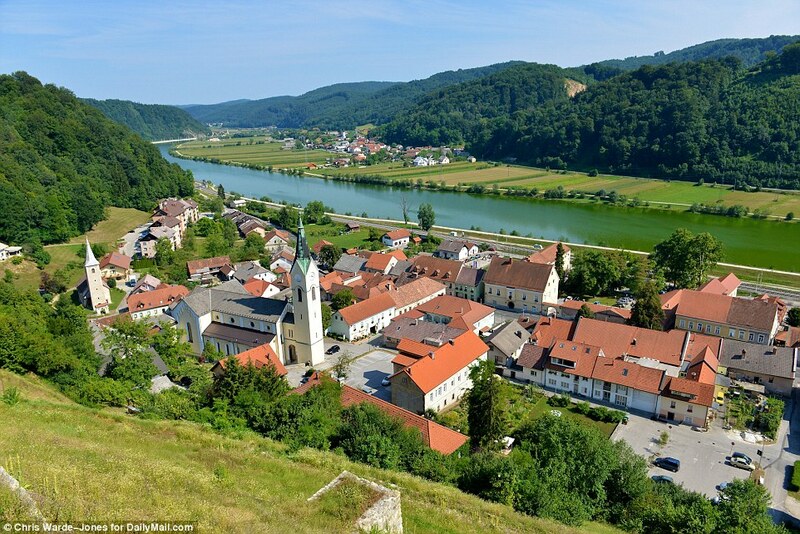 The people of Sevnica are proud of Melania and hope that she will make their small town famous. She and Trump are remembered for donating nearly $30,000 for two cars for the hospital to give neonatal care in 2005. Melania has never brought Trump to visit her hometown, although he has landed his private plane in Slovenia to pick up The Knavs and the couple once went to see the country’s most famous landmark, Lake Blatt. Locals would like to see Trump take an interest in his wife’s home country and invest there, but there are signs his tireless drive might not mesh with the Balkan way of life. Marya said: ‘I asked Amalja ‘Why don’t you tell Trump to come and open a company here?’ But she warned me that it wasn’t a good idea. Much has been made of Melania’s name change from the more-Slavic Knavs to the Germanic-sounding Knaus. Slovenian television station reported resentfully that she had forgotten Slovenian after asking to do an interview in English. Others point out that Knaus is as common in the country as Knavs, partly due to the Austra-Hungarian heritage of Slovenia.